The University of Bath is formally recognised as one of the UK’s leading automotive propulsion groups, selected as a Spoke of the Advanced Propulsion Centre. The PVRC, which has a longstanding reputation for excellence in automotive engineering, will form the core of the ‘Spoke for Internal Combustion Engines – Systems Efficiency’. This new status is further recognition of the University’s longstanding excellence in automotive engineering. As an APC Spoke, Bath will form a centre of excellence bringing specific functional, technological and regional capability to the APC network. It will also represent the APC regionally. Based in the Department of Mechanical Engineering, the Powertrain and Vehicle Research Centre (PVRC) will form the core of the ‘Spoke for Internal Combustion Engines – Systems Efficiency’, reflecting its expertise, capability, network of academic and industrial partners and recognised standing in this field. The PVRC conducts instrumental research focused on improving the efficiency and emissions of diesel and petrol engines, as well as electric and hybrid systems. This October its unique £2.4m EPSRC-funded automotive research facility, the Centre for Low Emission Vehicle Research (CLEVeR) was unveiled. The PVRC’s research pedigree represents nearly five decades of achievement and extensive engagement with the automotive industry. The Centre has made a significant contribution to the continued development of low and ultra-low carbon vehicles, reducing their CO2 signature and thereby enhancing fuel economy. Industry engagement is at the heart of the Centre’s research activities which has a wide range of industrial collaborators and funding bodies including Jaguar Land Rover, Ford, EPSRC, Innovate UK, BP, Shell, Ashwoods and Lotus, to name but a few. 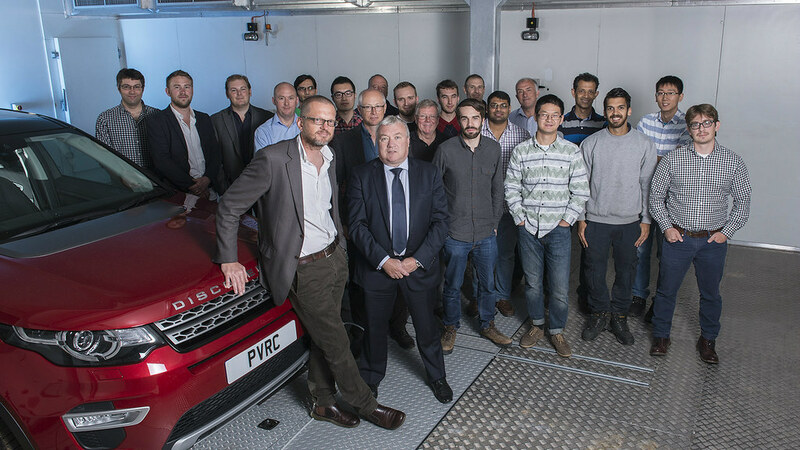 Professor Gary Hawley, Director of the PVRC and Dean of the University’s Faculty of Engineering & Design, said: “We are delighted to have been recognised by the automotive industry in the UK as worthy of holding this very specialised technical Spoke position. Vice-Chancellor of the University of Bath, Professor Dame Glynis Breakwell DBE commented: “This highly significant recognition reflects the longstanding reputation this University has for automotive engineering. The APC is a funded by both the national government and industry who committed a combined £1billion to support a ten year programme. Formed in 2013 from a commitment between the Government and automotive industry through the Automotive Council, its remit is to position the UK as a global centre of excellence for low carbon propulsion development and production. The APC operates across the UK with a Hub and Spoke Structure in which the University of Bath is now one of only five Spokes each one providing a different technical coverage. This structure pulls together highly focussed institutions combining academic research with industry engagement with each Spoke taking forwards investigations into specific technology areas. It is hoped this approach will support the development of the UK’s low carbon propulsion capability and help to strengthen the automotive supply chain in key technology areas. The University of Bath is joined by the University of Brighton, which has also been awarded ‘Spoke status’. They now partner with the three pre-existing ‘Spokes’, covering Digital Engineering and Test coordinated by Loughborough University, Electrical Energy Storage coordinated by the University of Warwick and Power Electronics coordinated by the University of Nottingham. 89 per cent of the research carried out by the University’s Department of Mechanical Engineering was ranked ‘internationally excellent’ (3) and ‘world-leading’ (4) by the 2014 Research Excellence Framework (REF), an independent assessment of UK university research activity.